May 4, 2012 | Welcome to Little Gull Marina! The trilliums have opened and we all know what that means……….yep that’s right, blackflies have joined us. 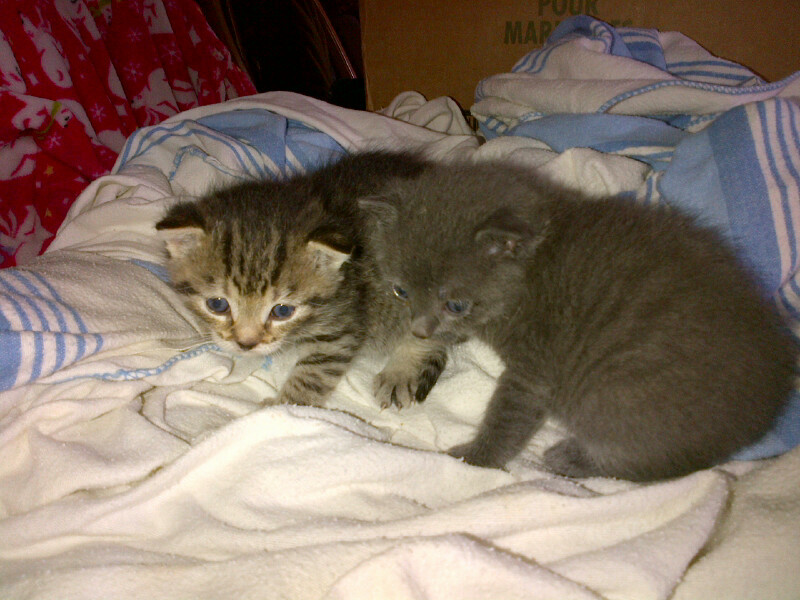 On another note, our mechanics found these little guys in the back of a boat that was dropped off here this week. They’re just a few weeks old. Mom probably kept them in the boat to stay safe and dry. With some TLC from Leah and the girls, they are doing well and we’re waiting to see if anybody claims them. Enjoy the weekend -it looks to be nice and sunny!